How do you motivate a classroom of bored teenagers, self-absorbed tweens, or energetic younger students to learn? 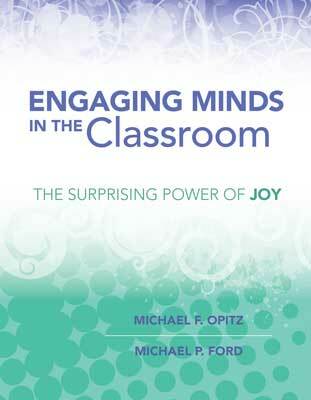 In this book, you'll explore what Michael F. Opitz and Michael P. Ford have discovered about planning lessons that engage students and enable them to truly enjoy learning. The authors outline key findings from research on motivation and engagement and offer real-life teaching examples from various grades. They show how to systematically propel students to enjoy using their minds every day—and to view themselves as confident learners ready to take on the challenges of the world. Engaging Minds in the Classroom is a must-read for any educator who understands that developing students' love of learning is the catalyst for achievement at every level. Get this title at a discount when you buy it as part of a four-book set that includes Engaging Minds in English Language Arts Classrooms, Engaging Minds in Science and Math Classrooms, and Engaging Minds in Social Studies Classrooms.